A study by the Translational Genomics Research Institute (TGen) and other major research institutes, found a new set of genes that can indicate improved survival after surgery for patients with pancreatic cancer. The study also showed that detection of circulating tumor DNA in the blood could provide an early indication of tumor recurrence. “These observations provide predictors of outcomes in patients with pancreatic cancer and have implications for detection of tumor recurrence, and perhaps someday for early detection of the cancer,” said Dr. Daniel D. Von Hoff, TGen Distinguished Professor and Physician-In-Chief, Co-Director of TGen’s SU2C Pancreatic Cancer Dream Team, and Chief Scientific Officer at the Virginia G. Piper Cancer Center Clinical Trials at HonorHealth (formerly Scottsdale Healthcare). Dr. Von Hoff was one of the authors of the study. 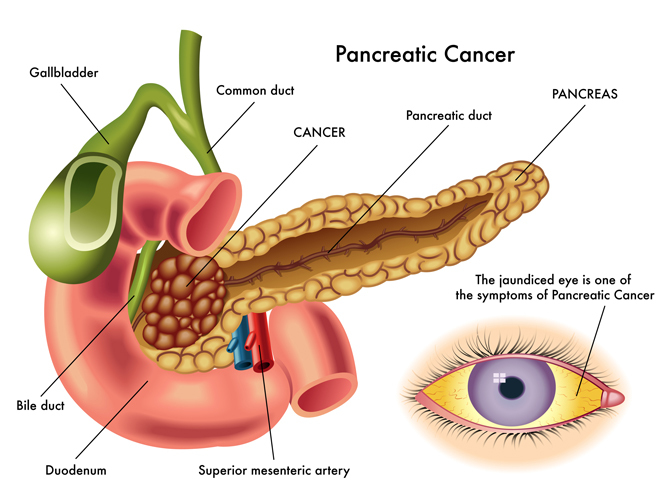 The study’s results found that a significant number of early-stage pancreatic cancers could be diagnosed non-invasively using liquid biopsy blood analysis that focuses on a few specific genetic alterations. This analysis suggests that additional studies should “evaluate more intensive therapies” for patients without MLL mutations or with detectable ctDNA following surgical removal of their tumors, as well as interventional clinical trials, the study said. Translational Genomics Research Institute (TGen) is a Phoenix, Arizona-based non-profit organization dedicated to conducting groundbreaking research with life changing results. TGen is focused on helping patients with cancer, neurological disorders and diabetes, through cutting edge translational research (the process of rapidly moving research towards patient benefit). TGen physicians and scientists work to unravel the genetic components of both common and rare complex diseases in adults and children. Working with collaborators in the scientific and medical communities literally worldwide, TGen makes a substantial contribution to help our patients through efficiency and effectiveness of the translational process.